This document summarizes the findings from the different research activities both at national and European level carried out by project partners from September 2017 to September 2018. 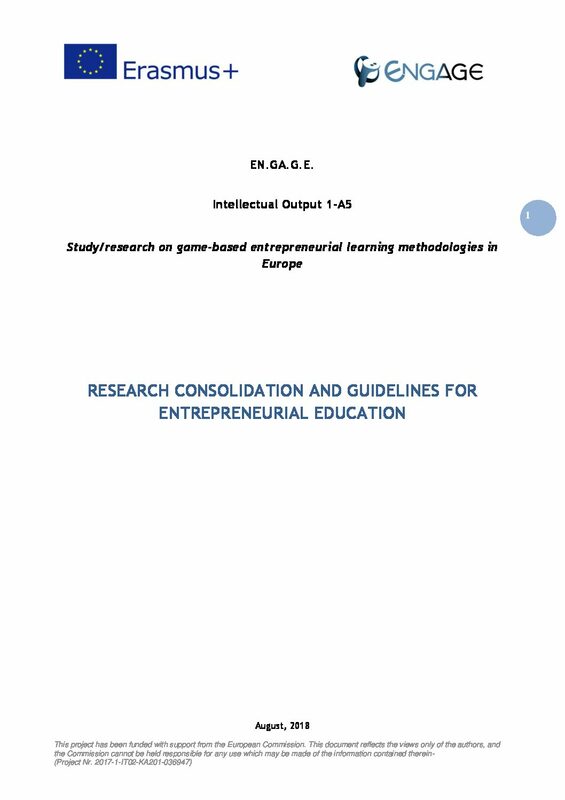 The Research Paper is based on the findings of the research activities about the Study/research on game-based entrepreneurial learning methodologies in Europe. The Paper also includes a more operational section with guidelines and the first Glossary for entrepreneurial education in Primary and Secondary Schools across Europe. The final aim is to provide recommendations regarding the promotion of entrepreneurial competencies using digital educational games. at a second level, the educational systems and community stakeholders.